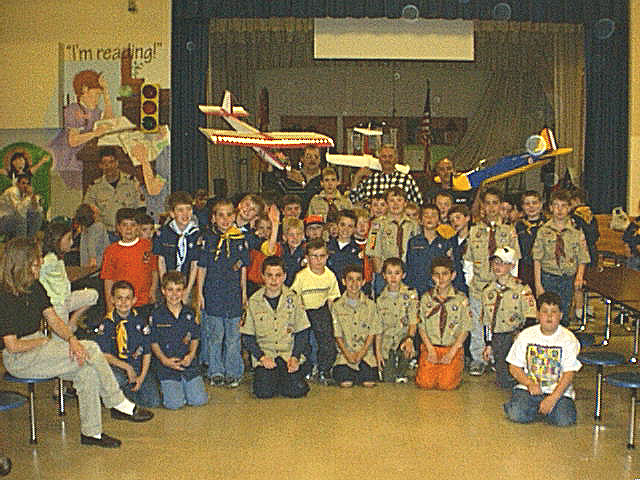 This months picture of the month is of Dean Anderson, Steve Kelley and Dennis Cherry giving a presentation on model airplane flying at the local cub scouts. Every month we will select a photo submitted by ANY club member, and post it here. Your reward is the honor and esteem of having your picture on this page. Submit photos by e-mailing them to us at flycmrcm@yahoo.com. If you don't have an electronic copy, you can submit the photo to any board member, and we will scan it for you, and return the photo.